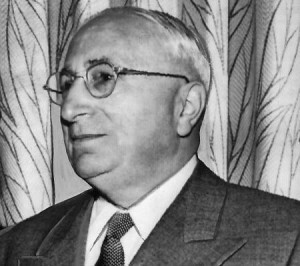 Born Eliezer Mayer in Minsk, Russia, Mayer immigrated to the United States with his family when he was a boy. He opened his first nickelodeon in Haverhill, Massachusetts, in 1907 and within little more than a decade owned and operated New England’s biggest movie theater chain. In need of movies for his theaters, Mayer started Louis B. Mayer Pictures and Metro Pictures Corporation in 1918. He merged these companies with the Goldwyn Pictures Corporation in 1924 to form Metro-Goldwyn-Mayer—MGM—and for the next thirty years Mayer reigned as the most powerful movie producer in Hollywood. The heart of his operation was the “star system,” which he created during the late 1920s and early 1930s, putting under exclusive contract a galaxy of motion picture actors certain to attract large audiences.